How often and how long do I need physical therapy? Depending on your condition, the therapist will give you an approximate timeline. On average, physical therapy is usually 2 days a week for approximately 4-6 weeks. Patients that have an extensive past medical history might take longer to heal; therefore, requiring a longer duration of physical therapy. Examples that affect the duration include: diabetes, age, smoking, history of slow healing wounds, malnutrition, previous injury to the area being treated, and previous surgery to the area or limb being treated. Have you used the **free** Charm City Circulator – Purple Route? For more detailed information on the Charm City Circulator Purple Route (stops and times), please call 410-350-0456 or go to http://www.machtmedicalgroup.com/directions/by-bus/. Once I finish physical therapy, will I have to continue doing my home exercise program forever? Once you are discharged from physical therapy, the therapist will provide you with a progressive home exercise program to maintain the gains you have achieved during treatment. Compared to the exercise program you receive while in treatment, it will not be as frequent, nor will it consist of as many exercises. You will not have to do these exercises for a lifetime; however, if your symptoms return, you always have the exercises to get back on track. Life gets busy so sometimes it is difficult to fit exercise into our schedules. Here are some tips to help include exercise into your life. Do fairly intense cardio 30 minutes a day, five days a week or do energetically intense cardio 20 minutes a day, 3 days a week. Do eight to 10 strength-training exercises with 8 to 12 repetitions of each exercise twice a week. To meet the guidelines, you can vary the cardiovascular exercise you perform. Such as, you can walk vigorously for 30 minutes twice a week, ride a bike at a moderate intensity for 20-30 minutes twice a week, and jog/run at a higher intensity one-two days a week. If you are too busy to do 30 minutes of consecutive exercise, you can perform intense 10-minute bouts of exercise 3 times a day, equaling 30 minutes. To motivate you to continue your exercise routine, it is helpful to bring friends and family in on the fun! Therefore, you can motivate each other to continue exercising. It is also helpful to get involved in exercise classes. You will find that it is very motivating to have an instructor pushing you to make it through your workout class. Just like you schedule a meeting with work or friends, schedule exercise! By scheduling exercise, it helps you keep up with your routine and stay healthy. Some people find starting an exercise program very intimidating. If you fall in this category, there are some options out there for you. Harbor Physical Therapy offers wellness evaluation. This entails a session with Dr. Amanda working on whatever aspect of your body you feel needs expert attention. Dr. Amanda can provide you with a workout regimen that gets you started on your healthy lifestyle. Also, if you get bored with your routine or want to try something different, Dr. Amanda can continue providing you guidance. Please give us a call at 443-524-0442 for details. There are several measures you can take throughout your day to reduce the likelihood of lower back pain. 1. Maintain correct posture in sitting and standing positions. Be sure to sit in a chair with lumbar support (lower back support). Always have your computer monitor at eye level and keyboard in front of your body. 2. Lift heavy objects with proper body mechanics. Avoid bending down with twisting motions. 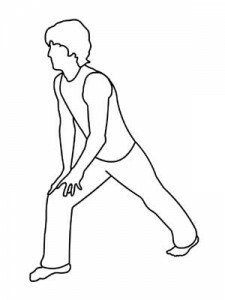 Always bend through your knees and slightly hinge at the waist. 3. Avoid repetitive lifting of weights and take breaks as needed. 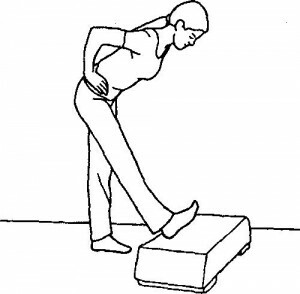 Overtime, repetitive lifting of weights will cause a stress injury to the spine. This could lead to a disc bulge (herniated disc) and spinal degeneration. 4. Perform core strengthening exercises regularly. Avoid excessive sit-ups because it puts heavy strain on the lumbar spine. Lay on your back with your spine flat on the surface. Squeeze your stomach muscles down toward the surface to flatten your back (Note: Try not to hold your breath during this part). 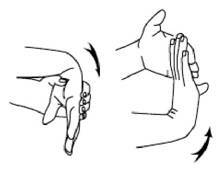 Hold for 5-10 seconds and repeat. To help achieve the correct contraction, pretend you are putting on a tight pair of jeans and squeezing your stomach muscles to fasten the zipper. This exercise is strengthening the Transversus Abdominus muscle. There are several measures you can take throughout your day to reduce the likelihood of sport-related injuries. Before playing any sport, be sure to warm up the muscles you will be using. If you are playing a sport that requires all of your body’s muscles, it is recommended that you take a 5 minute walk, while moving your arms in circular motions to the front and side of your body. While playing any sport, be sure to start slowly and work up to 100% of your effort. For example, if playing tennis, start by playing at half the court distance with less effort per swing. Then, progress to the baseline with your shots as you increase your effort of hitting the tennis ball. Make sure you drink plenty of fluids; dehydration can lead to muscle cramping, lethargy and dizziness. Wear proper footwear; do not play sports in sandals or bare feet unless specific to that sport. 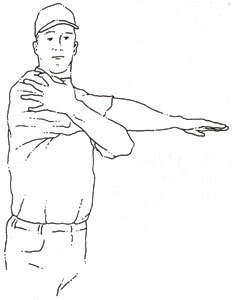 Stretch after your sporting activity. 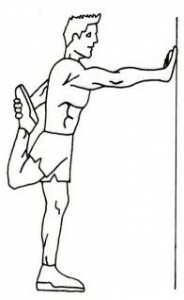 Studies have shown that it is beneficial to stretch afterwards to prevent injury.